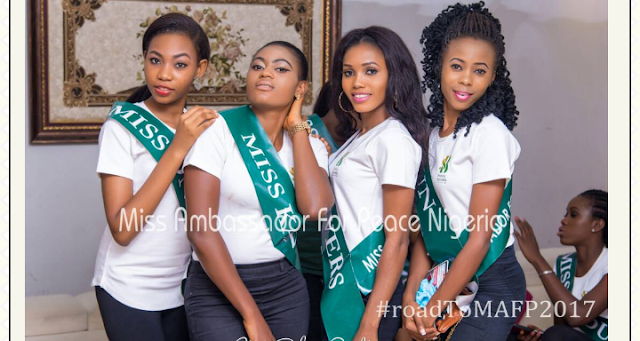 The city of Abuja is about to witness yet another entertaining and historical event ‎as 25 contestants of Miss Ambassador For Peace will battle it out on the stage of destiny as the Transcorp Hilton, Abuja on Saturday, 23rd September. .. The Peace Achievers Awards and Miss Ambassador For Peace Nigeria 2017 will honour 25 Award Recipients with 6 pageant will to emerge on the prestigious night. The Host for the night are MC Philip Rennar and On Air personality, Nenny B. While DJ's, Nani and Topherz shall the sound up and steady.